What’s next in the partial government shutdown border wall standoff? Who knows? Three yards and a cloud of dust was how Ohio State University coach Woody Hayes described his style of football, a steady, if unglamorous and gritty, progress toward the goal line. The negotiations over the partial government shutdown — although the term negotiation is used loosely here — could be described as minus-three yards and a cloud of dust. Instead of progress, the president and the Senate Judiciary chairman say a national emergency should be invoked, despite the legal tenuousness of such a move. The House majority leader compared making feds work without pay to slavery. There is even a disagreement over whether someone slammed a hand on a table. Meanwhile, federal workers miss their first full paycheck on Friday. We got into this fine mess for several reasons, including that the two sides do not even agree on what the main goal is. Want to honcho “the upkeep and preservation of more than 17.4 million square feet of facilities and 580 acres of grounds on the Capitol campus. That includes the historic House and Senate office buildings, the Capitol itself, thousands of works of art and even the trees that dot the campus?” Then have we got a job for you: Architect of the Capitol. Doug Jones’ win in Alabama’s special Senate election in 2017 put steam in Democrats’ strides. But can a guy from the party of Clinton win in the Yellowhammer State in 2020, when Jones would run for re-election to a full term? Stu Rothenberg handicaps the race in Jeff Sessions’ house. UFOs! Reid all about it! So you want to tear down the existing environmental regulatory structure. 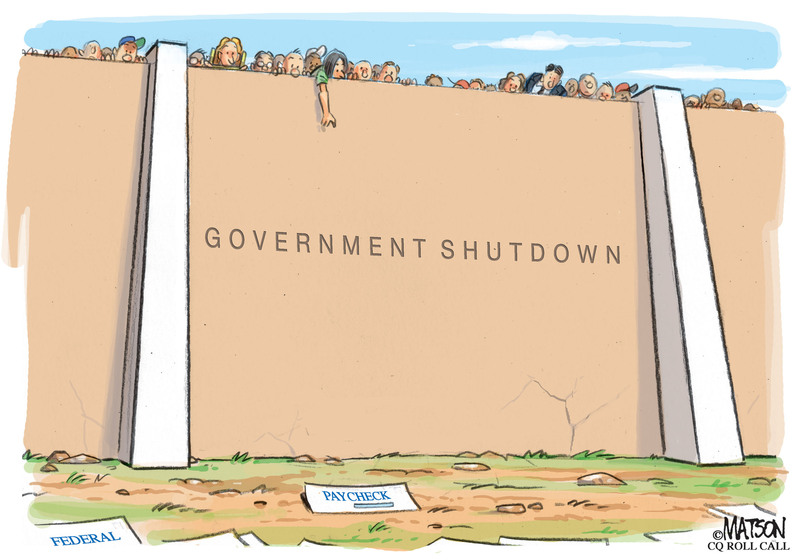 There’s just one problem: the shutdown is preventing the government workers who would do that from coming to the office.